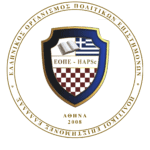 The Hellenic Association of Political Scientists accepts donations from any person with the purpose of meeting its aims. The Association considers donations a significant financial resource given the low cost of the subscription fees. HAPSc follows a policy of low subscription fees with the aim of allowing as many as possible young Political Scientists to fulfill their financial obligations towards the Association, and in turn, to maintain their member status. Following the link below you can donate to HAPSc.